This case was designed for AMCI Global. The case is designed to hold 60 iPad's and accessories in two removable trays. 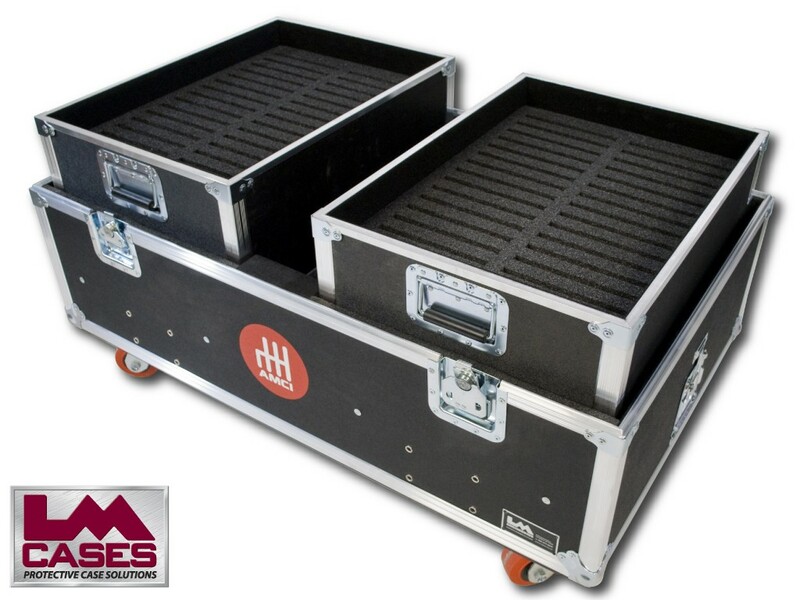 Each tray is made out of 3/8" plywood and features a custom CNC cut foam insert to hold each iPad in its own foam compartment. The iPad's are stored in each compartment upside down allowing them to charge in their own compartments to keep things organized. The compartment under the trays is lined with black carpet allowing storage for cords and power strips. 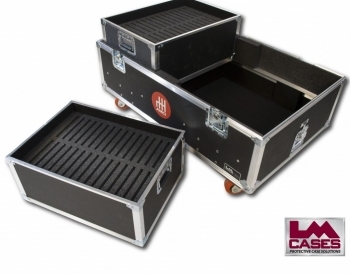 There are trap doors located on two sides of the case allowing for cables to enter and exit the case with the lid closed and locked. This feature allows the iPad's to charge in a locked case, this is especially useful in trade show applications where equipment is left unattended over night. 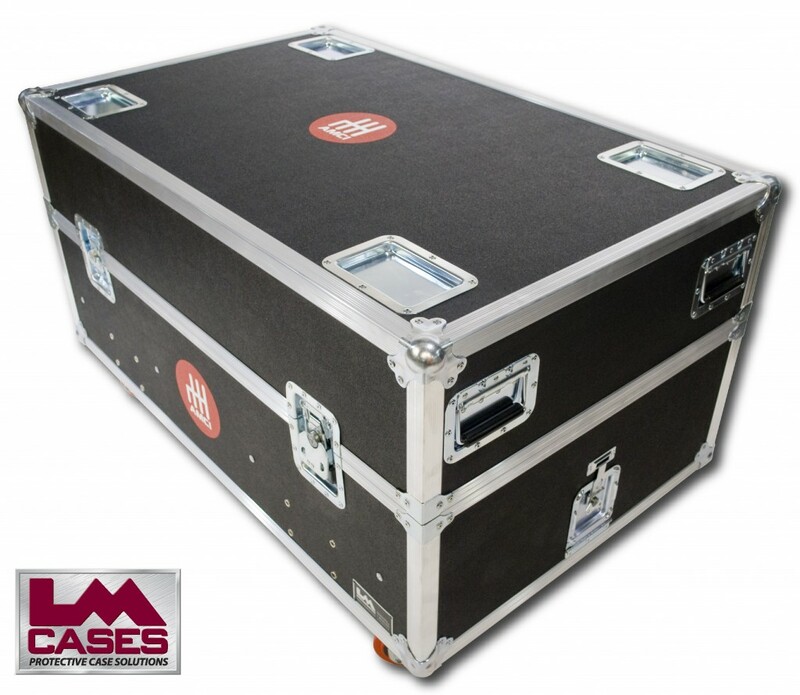 The case is built out of 3/8" plywood and features combination locking latches, a two color silkscreen of the AMCI logo, 4" x 2" casters, and stacking caster wells in the case lid.